Based in Notting Hill, Farmacy focuses on clean indulgence, inspired by dishes worldwide and supports a vegan and vegetarian diet, and is free from dairy, refined sugars, additives and chemicals. 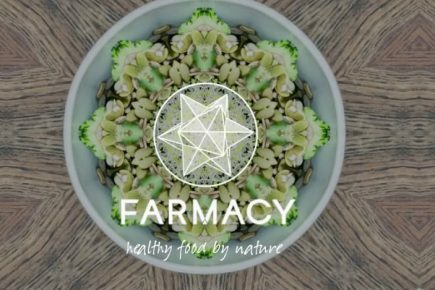 Offering a range of fresh, seasonal and nutritionally balanced meal solutions, as well as snacks, Farmacy has everything to nourish and inspire health-conscious foodies with busy lives. Founded on nutritional intelligence, Farmacy believe that listening to our inner-selves means that we can give nourishment where it is needed most, and this begins with a clean and conscious diet.